Reangitoto is a recent (Just 600 years young) island off the Auckland coast. Rangitoto is youngest and largest of all volcanic islands around Auckland. It is visible from most spots in Auckland. 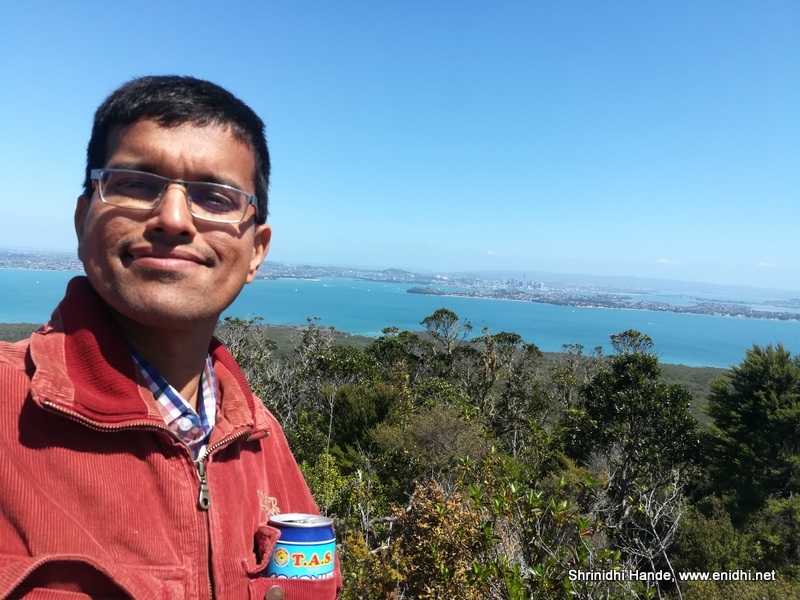 Almost all tourists visiting Auckland take up a day tour to Rangitoto and I also did the same. 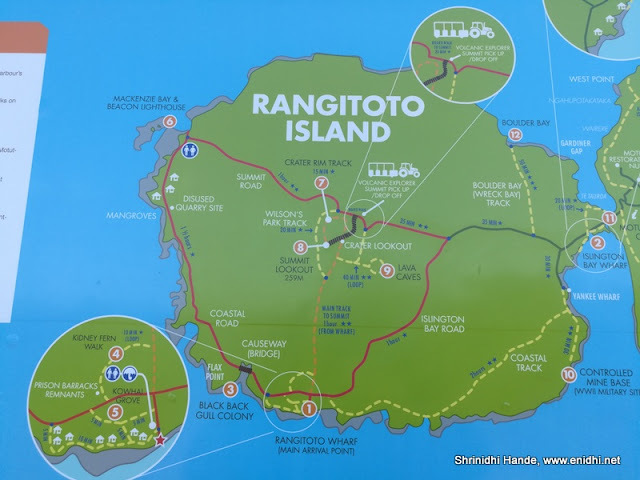 This post shares my experience, what to expect and how to optimize your Rangitoto visit. 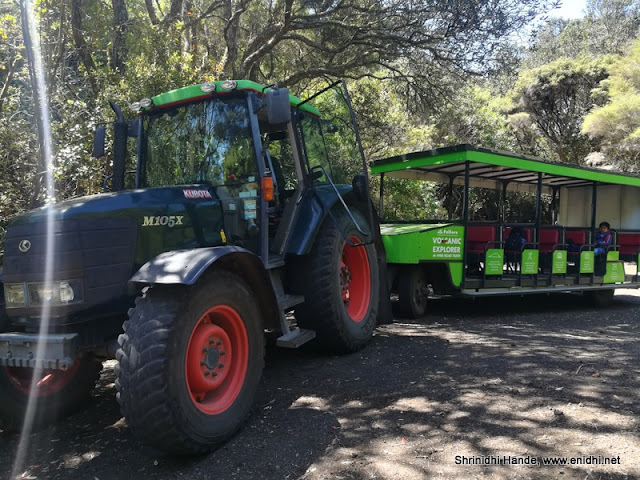 Booking Rangitoto Tour: You have two options: Just ferry ticket and explore on foot, or book ferry ticket + a ride in tractor trailer, which will take you around the island and drop you back at the ferry point. 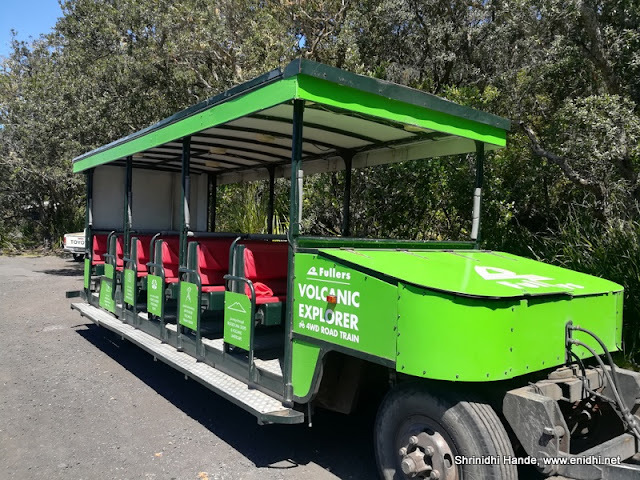 Where to book Rangitoto Volcanic Island tour ticket? I checked if tickets are any cheaper online- like Viator etc- they charge in USD and if converted comes almost same as what tour operator Fullers charge. 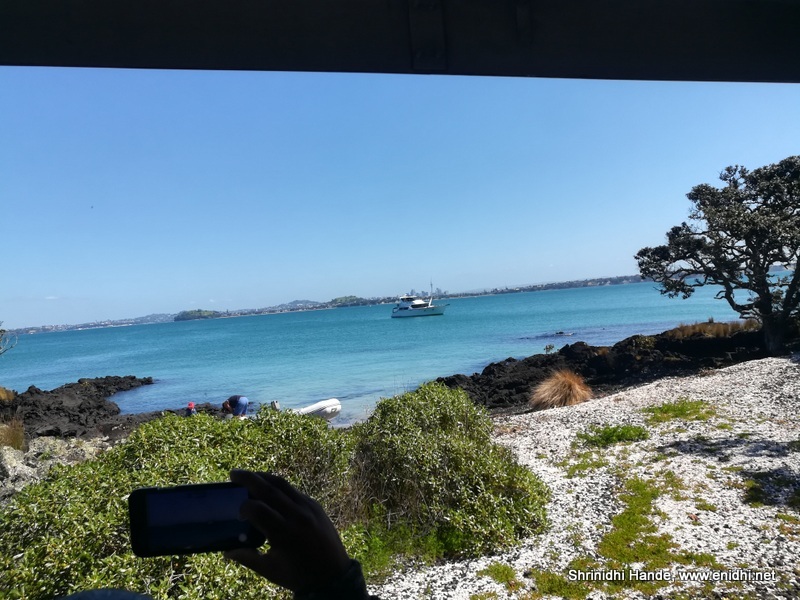 I booked my tour from Fullers sales counter in Auckland Harbor- I preferred this because of two reasons- one, staff there patiently explained me the options, availability and were very helpful in allowing me decide which tour to chose. Second, the tours are weather dependent- if the particular tour is cancelled and I have to take a refund or get it reschedule, walking to their counter in person is more convenient than dealing with online support. 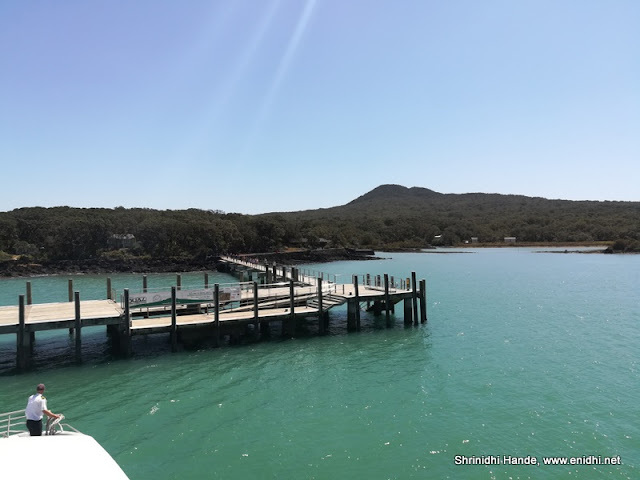 I bought my ticket a day earlier and came back next day in time for the ferry. The capacity is limited so on some days it gets sold out. If you're flexible you can book for next available day, else advance booking is recommended. 1. 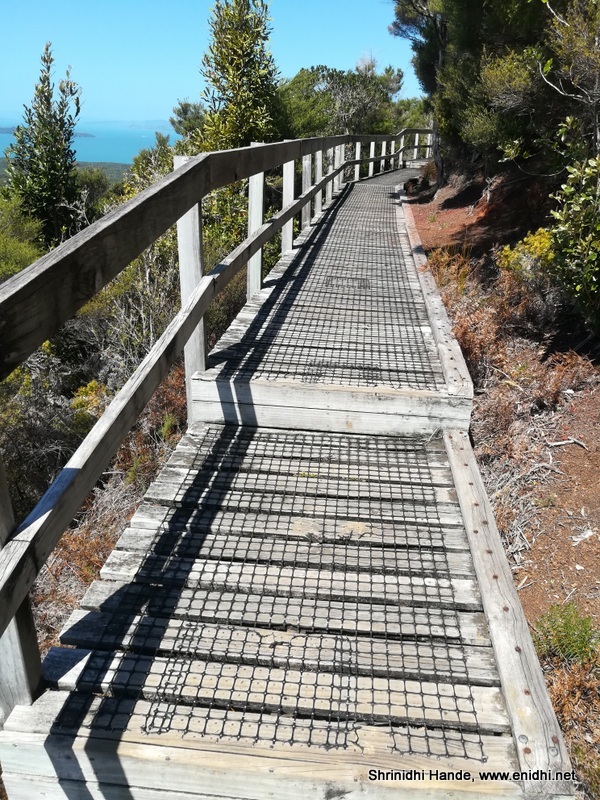 All visitors heading to Rangitoto are required to thoroughly rub their shoes on the brushes provided on the harbor before boarding the ferry- this is to avoid taking any worms/harmful substances to the island which is deemed highly ecologically sensitive. 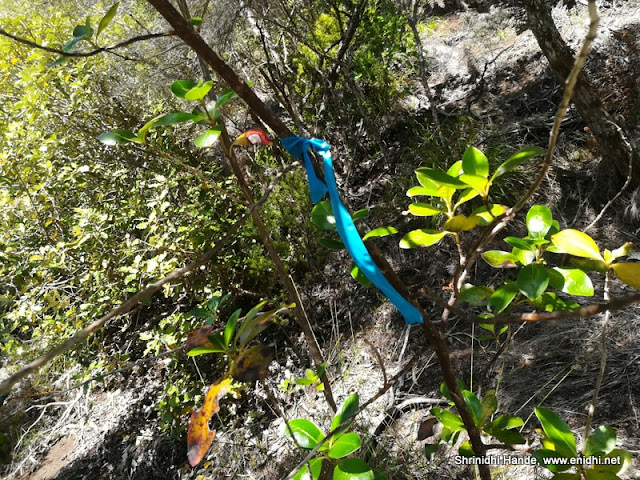 New Zealand suffered a major disaster known as Kauri dieback very recently- since then DOC (Department of Conversations) has put in place several preventive measures to avoid spread of the disease or further accidental contamination/trigger. Post above brief we boarded the ferry. The ferry ride took about 20 minutes if I ca remember correctly. Upon arrival, I saw many guests set off on foot- they were the ones who had bought only the ferry tickets and not the tour. They would trek to the top of the peak- some 1.5 kms by foot but a longer, 3-4 kms by road. Below map gives you and idea. The red line is the route taken by tour tractor. Because we had booked the tour we boarded the tractor trailer and waited. 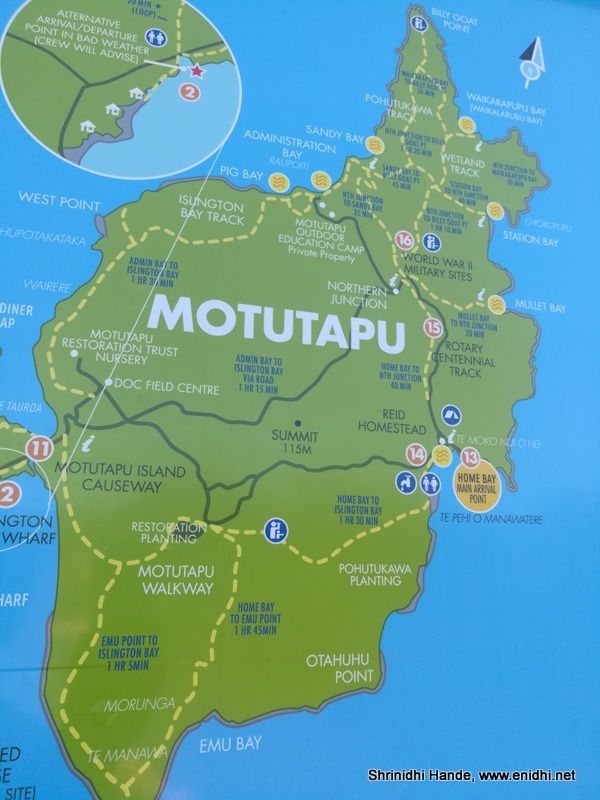 After sometime the driver started, giving us some history on the island. 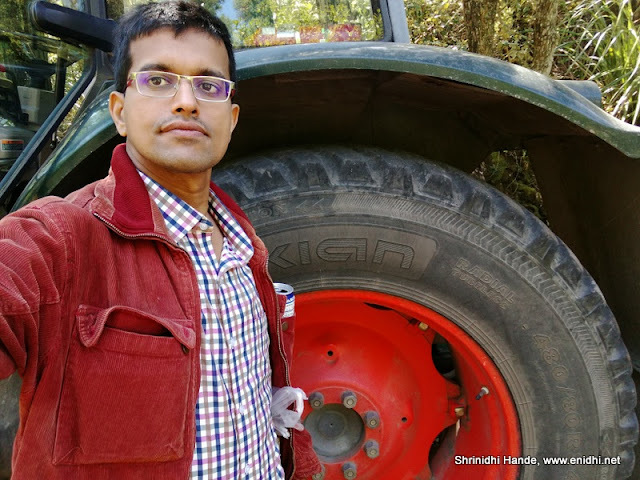 After a seemingly long ride, due to circular path and bumpy road, we were dropped off at a point from where we had to trek a few hundred meters to the view point. 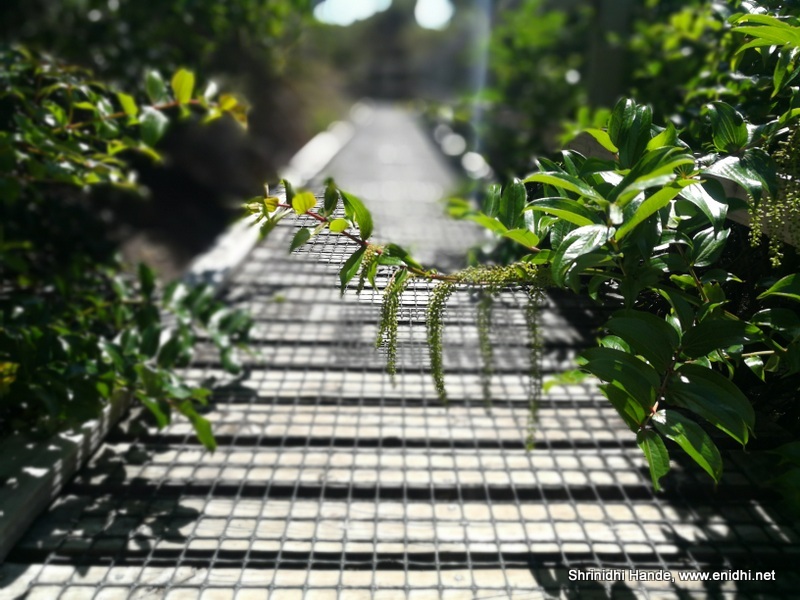 We were advised to stay on the paved path. 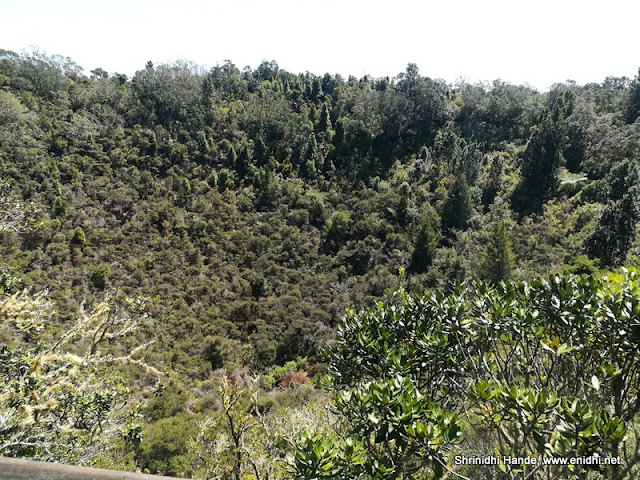 Below: This is supposed to be the volcanic crater- but now full of vegetation so won't look like one. 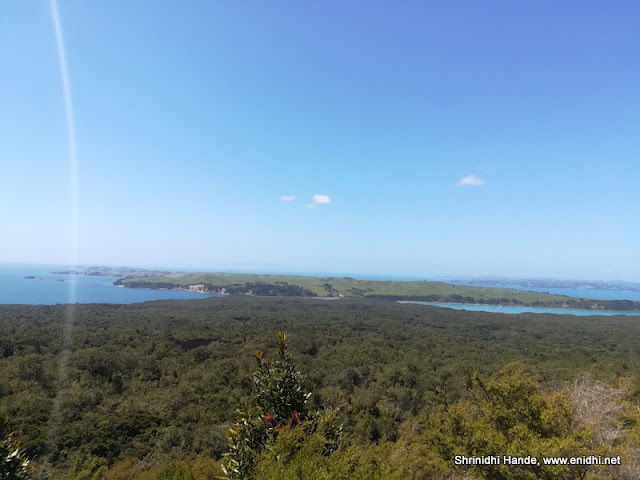 The view from top of Rangitoto looks something like below, with Devonport and Auckland city visible at a distance. 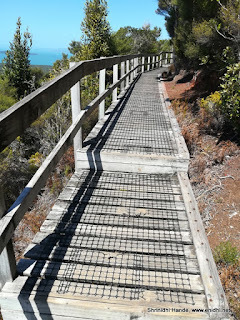 By the time we reached the peak, those who had come with us in the ferry but had preferred to trek had already reached the peak- this is because walking trail is much shorter than tractor route-just about a km. Our route was longer and slower. On the top, besides the view point there was an additional circular walking trail around the crater one could take. 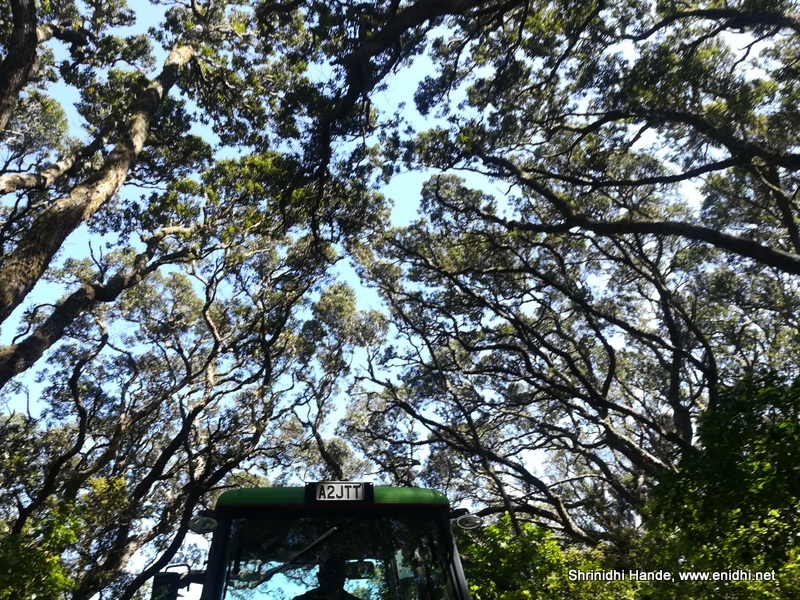 I could only explore a bit of it as we had limited time to get back to the tractor trailer. 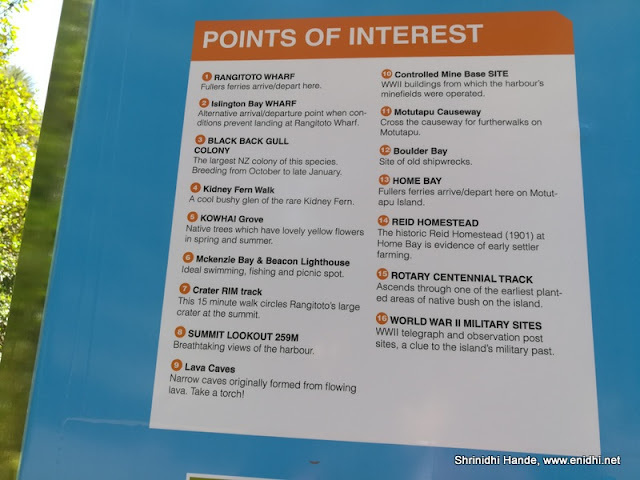 (We were given about 15-20 minutes to walk to view point and get back. 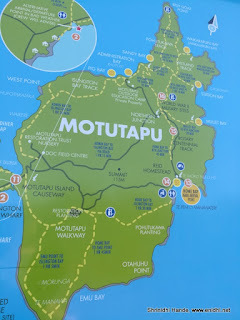 Once back, we proceeded in anti clockwise direction and stopped at a spot to get closer look at volcanic rocks. We were dropped back at ferry point with some 10-5 minutes to spare for the return ferry. 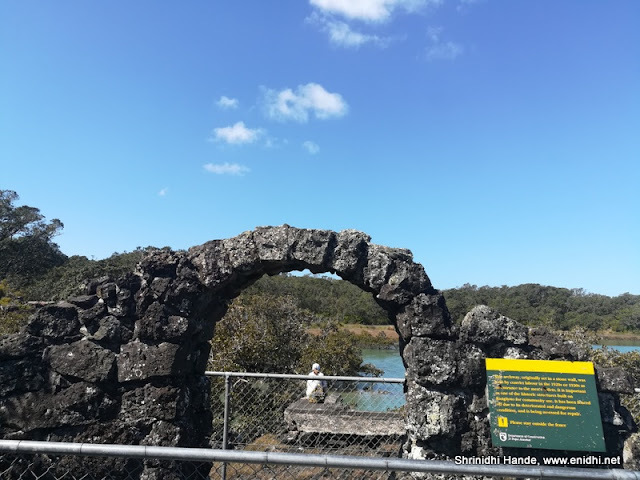 Used this time to take a quick look at war memorial and read some display information about history of Rangitoto island. Above: Various things one can do at Rangitoto. We could cover only #1, #7, #8, #10 on the day tour. 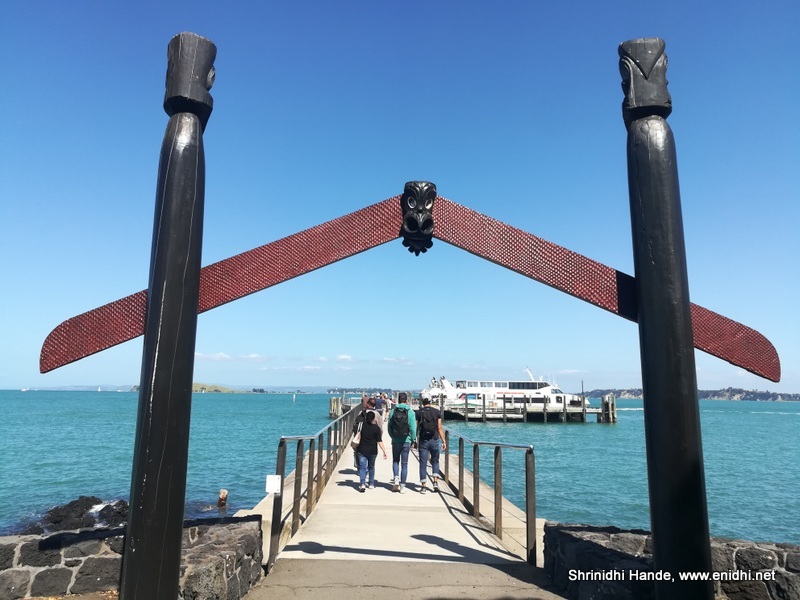 What happens if you miss the return ferry from Rangitoto? Authorities can send a water taxi to get you back to mainland- that would set you back by a few hundred dollars- don’t know exact quote. Not sure if any additional penalties apply. 1. Ferry trips are subject to weather conditions. So keep a plan B, check cancellation/reschedule policy on the website/operator before booking- sometimes they only offer rescheduling on next available tour-which could be 2-3 days away during busy season. 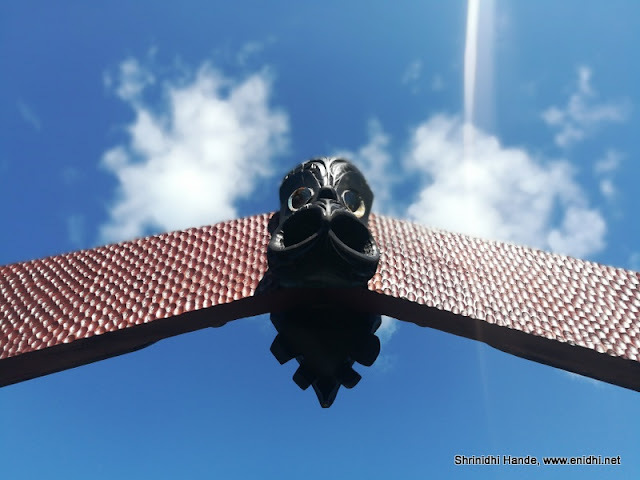 It does look quite scenic and I am pretty impressed with the care to avoid bringing germs to the island and destroying its beauty.At the same time,the Indian in me is cringing at such strict rules and regulations. True. People voluntarily follow the guidelines there at many places. Beautiful island. Loved the post. 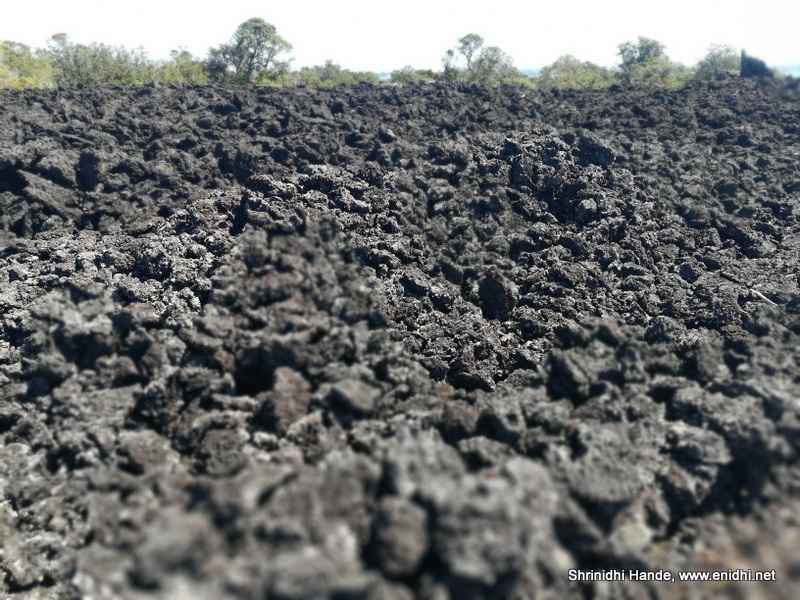 Wow -- look at that crater. So green. Signs of rich volcanic soil. It was only recently that I came across this boot-brushing thing. In a redwood area here in CA, I came across a stationary boot brush and beside it was a board asking us to clean our soles so as to prevent weed infestation that would be harmful for the native vegetation.